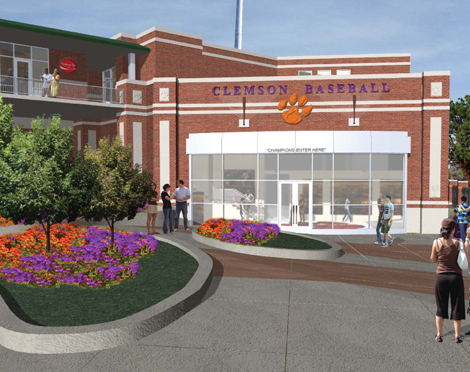 RJTR provided Conceptual Design services for renovations and additions to the Clemson University Baseball Stadium and Player Facilities. Our proposed program includes design for a multi-level state-ofthe-art athletic facility to suit the needs of the players, coaches, visiting teams, students, and fans. 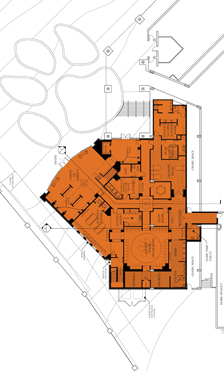 The design includes renovation of existing stadium seating, ticketing areas, locker room, main entrance, and offices. 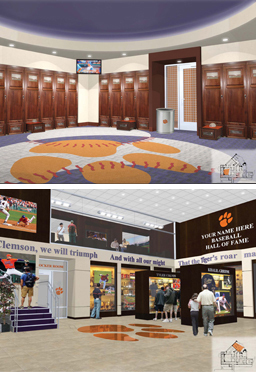 The two level facility would provide additional and updated locker room spaces, offi ces, new Home Run Classroom concept, two new suites for game viewing, players lounge, Lobby of Legacy, and Hall of Fame Display.